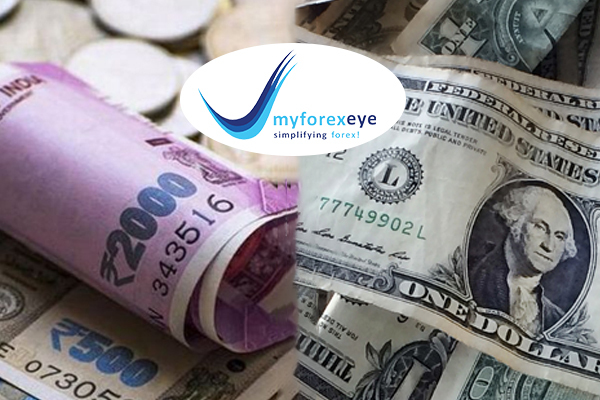 The Indian rupee rose to a one-month high against the dollar, helped by banks’ greenback sales likely on behalf of their custodial clients who stepped up investments into local markets. The rupee settled at 70.70 to a dollar, its highest since Jan. 11, from 71.17 at previous close. The currency opened flat and fell to the day’s low of 71.22, before breaking the psychologically important level of 71 to touch 70.69. The unit also logged its biggest single-session rise since Jan. 4. Most Asian currencies also pared early losses to end little changed to higher against the greenback. New Delhi plans to sell 1.98% stake in private lender Axis Bank via the offer-for-sale route, held by the Specified Undertaking of the Unit Trust of India, to raise at least 35 billion rupees. Equity benchmarks closed the session with cuts of over half a percent. The Nifty managed to end below 10,850-mark. At the close of market hours, the Sensex was down 241.41 points or 0.66% at 36153.62, and the Nifty down 57.40 points or 0.53% at 10831.40. The market breadth was negative as 1050 shares advanced, against a decline of 1452 shares, while 131 shares were unchanged. European markets are broadly higher today with shares in Germany leading the region. The DAX is up 1.22% while France's CAC 40 is up 1.11% and London's FTSE 100 is up 0.38%. Wall Street see-sawed on Monday, rarely straying far from opening levels as investors eyed ongoing U.S.-China trade talks, potential congressional gridlock and a diminished 2019 earnings outlook. The S&P 500 and the Nasdaq eked out nominal gains while the blue chip Dow edged lower. The Dow Jones Industrial Average fell 53.22 points, or 0.21 percent, to 25,053.11, the S&P 500 gained 1.92 points, or 0.07 percent, to 2,709.8 and the Nasdaq Composite added 9.71 points, or 0.13 percent, to 7,307.91. The U.S. dollar rose to a new eight-week high in early trade in Europe Tuesday, as news of the deal to avert a fresh government shutdown was overshadowed by continued concerns about the U.S.-China trade war and more bearish talk out of Europe. The pound slid to a new three-week low overnight, extending the losses it made after a raft of data showing the U.K. economy close to stalling as the deadline to leave the European Union approaches. European Union finance ministers are meeting in Brussels on Tuesday, and high on the agenda is a proposal for a eurozone budget. Unsurprisingly, the proposal is controversial, as members have sharply diverging views on the subject. France supports a large budget, while fiscal-conscious Germany is in favor a scaled-down budget. The current proposal calls for a budget of 55 billion euros. The euro has been on a six-day slide, losing 1.6% in that time. The catalyst for the downturn has been disappointing data out of the eurozone and Germany. Brent crude oil price rose 1.9% to $62.65 per barrel, recouping overnight losses of around 1%, on output cuts led by the Organization of the Petroleum Exporting Countries.